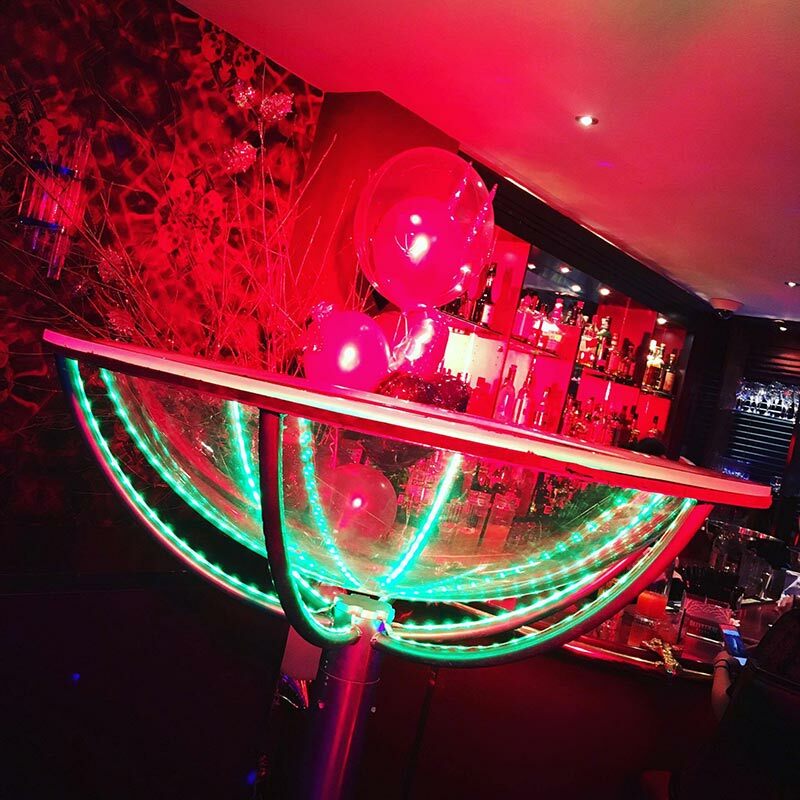 This traditional burlesque giant Martini glass prop has been brought up to date with Flashing LED’s to light up any event and draw your guests eyes over to the amazing performance just about to take place. Perfect for corporate events and private parties. This elegant and beautifully designed prop can be used as a focal point filled with things such as: ice and champagne bottles, water, bubbles, candy or just about anything. – Aerial above the glass pouring champagne for guests from the champagne bottles placed in the glass. This fully insured LED collapsible 6ft prop can be easily transported and installed. We have a team of professionals who can fully install the glass hassle free. The glass 2.2metres in height. The area the glass is positioned in needs to be roped off in a 2 metre square flat service space, with no objects within a metre of the top of the glass e.g smoke machines and lighting. Security when a performer is performing inside the glass. The times can be suited to the client’s requirements. It was a pleasure to work with Gemma and her team who were extremely professional. 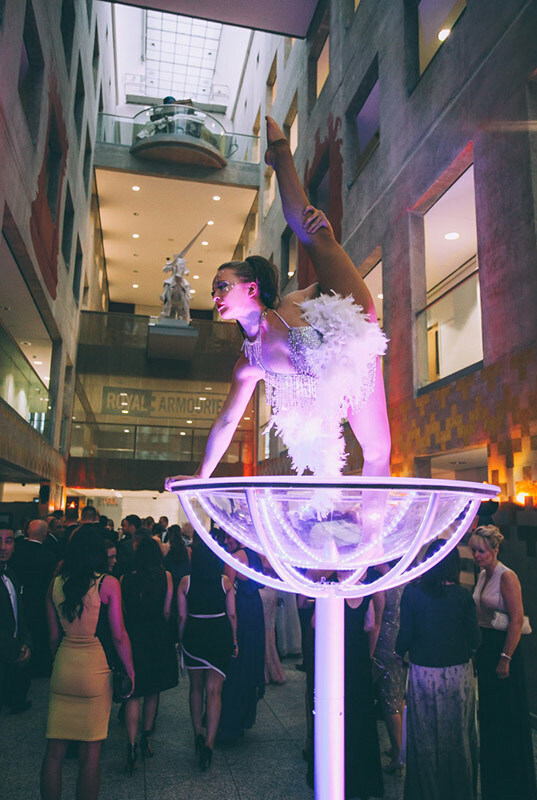 The performances on the night were spectacular and perfectly tailored to our party theme. 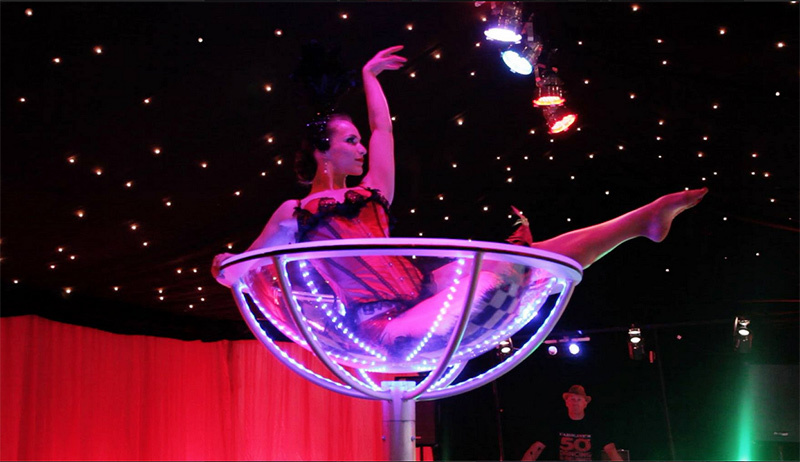 They have worked with us closely since 2011 supplying performers for our annual UK festivals. They always go above and beyond to cater for all our needs. They even create bespoke costumes to fit our themes and bring our ideas to life. The standard of all their acts is extremely high and we hope to continue working together for a long time into the future. They have been our core suppliers of performance and entertainment both in Ibiza and in the UK since May 2011. We have a great working relationship and they are very professional and always supply us with outstanding dancers and hostesses. They have custom made our brand new costumes for season 2013 and we are very happy overall with all the work and input Evolve has with our company. They have exceeded our expectations on every level. They have a great selection of artists and performers for all kinds of events. I enjoy working with Gemma as she takes the time to deliver any demanding request and will always make sure you are happy with her service. Here at White Label we have always received a consistent and professional service from these performers. All performers supplied have been very hard working and reliable and with the utmost care taken in their amazing costumes and overall appearance. We happily use Gemma and her team for our community events wherever possible. We have been using Gemma for all our entertainment needs at our venues for over a year. We have to say the team are very easy to work with and always accommodating new ideas. I have always found the entertainers to be of a very high standard and the costumes have never failed to blow us away. Being a commercial partner of the local university we have found that Gemma has always been our first point of call for entertainers whether it be student based themes or crowd stopping entertainment for our Saturday nights. 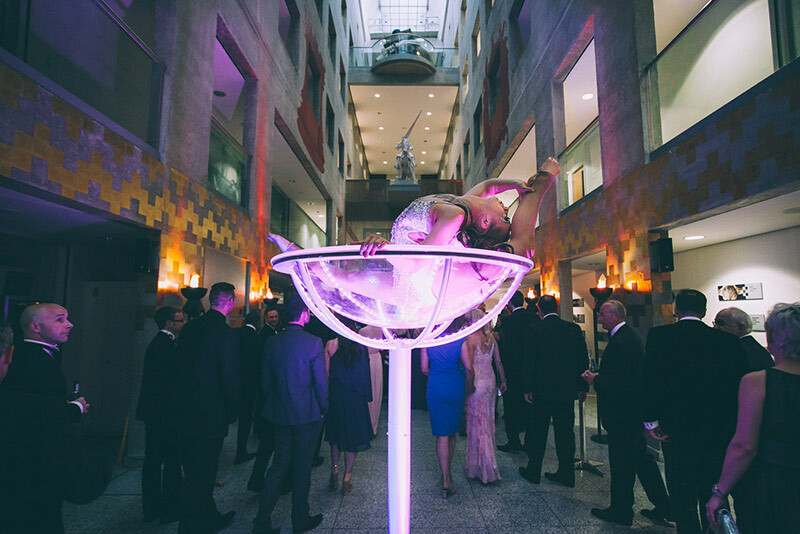 They are amongst the most professional in the business, providing spectacular and immaculate performers that have always helped our events to stand out. Gemma and her team have been extremely helpful and have meet with our demands week in week out! She has always supplied the best performers along with some amazing and unique ideas week in week out! We love working with Gemma every week and look forward to working with her in the future. Having worked with Evolve entertainment over the past few years now, I can happily say that Gemma and her team are our ‘go to people’ when it comes to creative shows and engaging acts. Here’s to many more long nights together.